Wow, Beth! That Nathan is ready to take on the four-step. he sure is. if he wants to move from his special spot. He looks very comfortable there on the swing. Cats are swingers more that dancers. What a great photo. The cat is adorable and I don’t think many cats would like to be dancers because you have to be AWAKE to do that. Maybe this Nathan is a runner? Or just a leg shower off-er??? love those swinging cats, man! 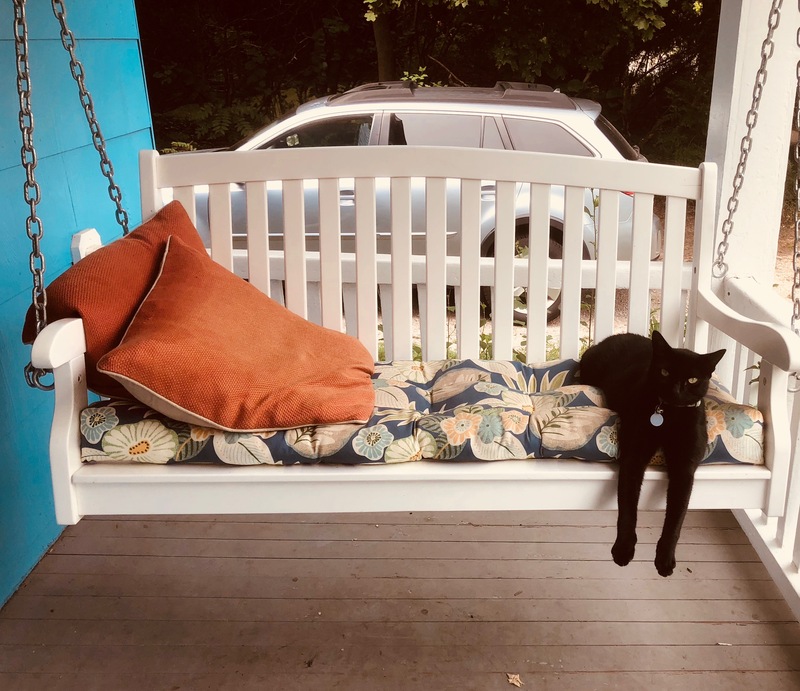 I’d say this cat has already got a handle on the swing of things. Better to have people dancing in attendance than dance oneself. Love this kitty cat pic! !